Waveney River Centre Day cruiser hire at Waveney River Centre01502-677343workBoat HireNo Broads holiday is complete without a trip on the boat river to explore the famous Norfolk & Suffolk Broads. No Broads holiday is complete without a trip on the boat river to explore the famous Norfolk & Suffolk Broads. 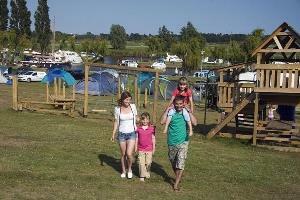 Whether you are staying on-site or visiting for the day, Waveney River Centre is an ideal departure point for a day on the tranquil waters of the southern Broads, with the pretty market town of Beccles just 1.5 hours upstream and Oulton Broad with its large children's park about 20 minutes downstream. Somerleyton with its famous stately home and maze, and the riverside village of Reedham are other popular destinations within two hours' cruise.